Officers in Portsmouth have carried out warrants and made four arrests as part of an investigation into child criminal exploitation related to the supply of illegal drugs in the city yesterday (October 9). 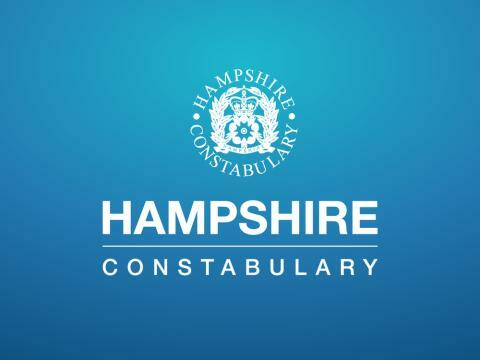 Hampshire Constabulary’s Missing and Exploited Team, with support from the Neighbourhood Policing Team, executed warrants at addresses in Paulsgrove and Fratton. Officers arrested one man and three teenage boys and seized a quantity of Class A and Class B drugs, as well as an imitation firearm and more than £2,000 in cash. A 22-year-old man from Portsmouth who was arrested on suspicion of conspiracy to traffic children under the Modern Slavery Act and conspiracy to supply Class A drugs. The exploitation of children is a force priority and work with partners happens every day to keep young people in Hampshire and on the Isle of Wight safer. Detective Inspector Ross Toms said: “Operations like the one carried out yesterday are only possible by working with communities and our partners. “We can take action but we need information to build up a picture of what is happening and identify the risks to young people. “I would encourage all parents, teachers, carers, and others who live or work with young people to be aware of the signs that a child could be being exploited and contact us or one of our partners, such as Portsmouth City Council. “Our priority is to keep young or vulnerable people safe. Child criminal exploitation can be complex and it’s important that our partnership response looks beyond the criminality we initially identify to ensure we protect those involved with the most appropriate outcome. ”Our message to those individuals exploiting young people is simple. If you choose to use children to supply drugs or exploit them for criminal purposes we will investigate you to pursue a conviction wherever possible”. To contact the police, call 101, or 999 if a crime is in progress. You can also contact the Modern Slavery Helpline on 08000 121 700. Children’s Services at Portsmouth City Council also have a dedicated phone number to report concerns relating to the welfare of young people in the city, 02392 688793.